How do you keep your listed home show ready during the busy holiday season? 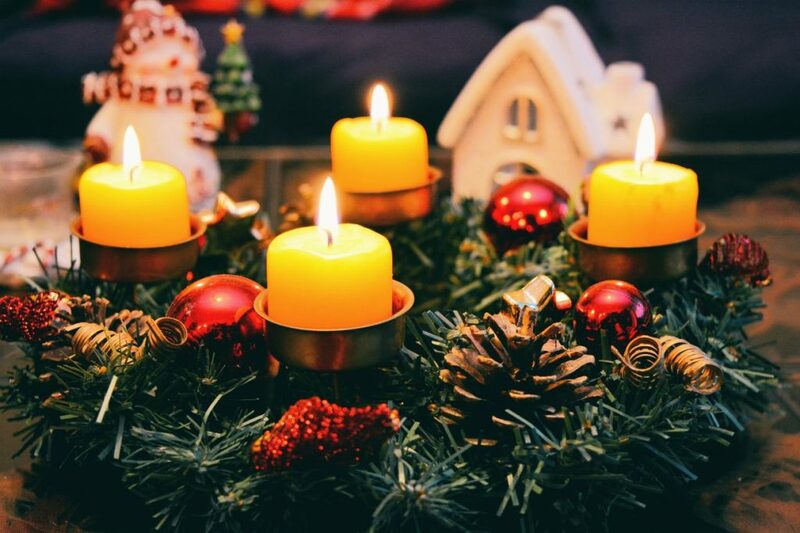 Here are some tips to have your house “Show Ready” during the holiday season. The holidays can provide motivated buyers for your house and less competition from other sellers. You can also create warm, inviting staging for your home if you don’t overdo it. The conventional wisdom on selling your home may tell you to not even bother with the holiday months. Traditionally, the holidays have been a poor time to try to sell. In the past, many homeowners have just opted to pull their listings during the end of the year and wait until the new year to begin again. This conventional wisdom isn’t that smart anymore. After the holidays the supply of listings increases substantially which lowers the demand for your home … more competition equals less money! You could potentially sell during the holidays in December for more money and not have to physically move until January or February … as opposed to just starting the whole process at that time. When it comes to decorating your home for holidays while trying to sell it, the extreme ends of the spectrum are what can trip you up. On one hand, you don’t want to be completely undecorated. Why? For one, it may look strange, as the majority of home buyers expect at least a little bit of holiday cheer (especially if your neighbors are decked out!). Homes generally show better when they are decorated. It’s also unlikely that many potential home buyers are truly turned off by tasteful decorations. Holiday decorations are kind of like paint colors – buyers know they aren’t permanent. On the other hand, an over-decorated home can look gaudy, tacky, and even offend. Potential home buyers may not share the same religious beliefs or the same enthusiasm about the holiday season. If you’re going to decorate, try to go classic with your decor. Don’t overdo any particular theme. Stick to the basics, and try to depersonalize everything. If you’re putting up a tree, make sure it fits the space well. A giant tree can make a room look small, which is a surefire way to turn off a potential buyer. If this happens, you can just remove some of the furniture. As Angie’s List points out, the key to successful staging is keeping proper proportions among the furniture and accessories in the house. Trust us, it’s easier to clean for a few minutes every day than to clean for a few hours every week. Honestly – 20 minutes of cleaning every single day will keep your home show-ready throughout the holiday season. If you can tackle the basics every day – clean your kitchen, do your dishes, wipe counters, deal with mail, fold laundry, and institute a “take it out then put it back” rule with every member of your family, you can succeed. Here is another list of 13 Easy Steps to Keep Your House Clean. House Vacuum Zone’s website also has many articles about cleaning for allergies, pets, dust mites and general vacuum cleaner tips, plus much more. Check out their blog posts and Guides. The holidays are not the time to try to save money and do it all yourself. It’s going to be hard to keep your home clean and organized as you fulfill holiday obligations, so you should hire some help. A house cleaner can really help you stay on top of things. A yard man can make sure that your home stays presentable even through falling leaves and snow (remember: bare trees make your home’s imperfections stand out even more). A dog walker or pet sitter can give you a way to get your dog out of the house during showings (which is absolutely vital). Finally, it’s not a bad idea to think about hiring a professional house stager. Their job is to make on-the-market homes look good for showings. Consider these tips before you hire a stager. Statistics show that using a stager can help it sell quicker and possibly for a higher amount than your competition. That’s the key. Sure, you can say no showings on Thanksgiving Day or Christmas Day or something like that, and buyers understand that the seller will have some restrictions on showing times, but you need to be flexible all throughout the holiday season. This key tip applies all throughout the year as well, you never know who that right buyer might be and sometimes they don’t come back. That’s how you’re going to sell your home – keep it clean, tastefully decorated, and ready for a showing at the drop of a hat. You can stand out among the crowd if you follow these basic tips. Click here GET YOUR HOME VALUE NOW! and learn more home selling tips.